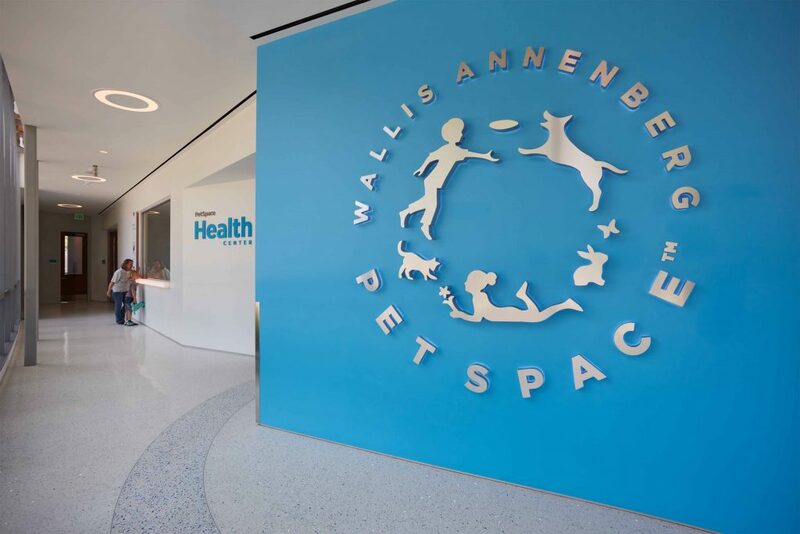 Wallis Annenberg PetSpace is completely unique: a functioning animal adoption center that examines and champions the human-animal bond. Its role is to deepen our appreciation for companion animals and model best practices in animal care and adoption. 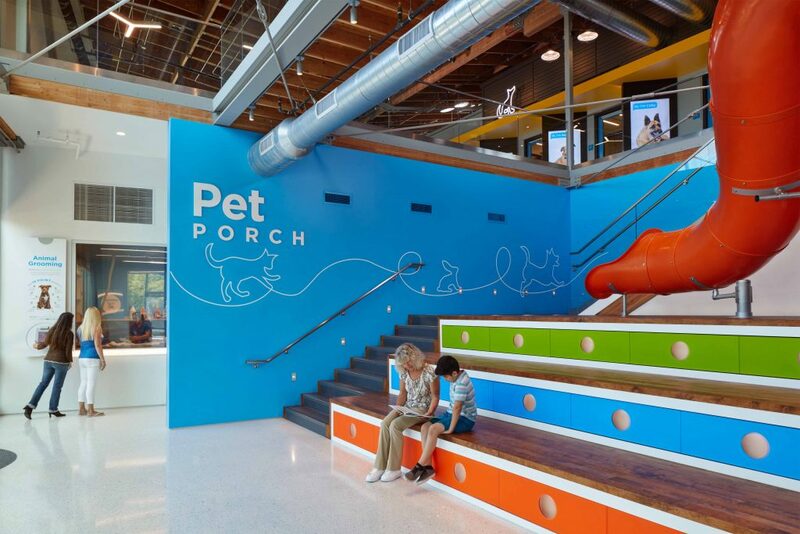 PetSpace opened on June 24th, 2017 in a beautiful building in Los Angeles’ Playa Vista neighborhood, occupying two floors and 30,000 square feet, with space for 100 animals. 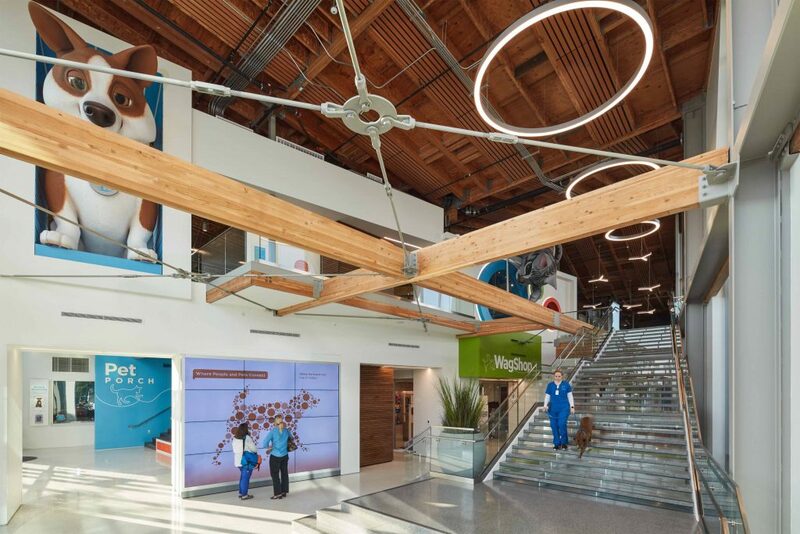 Cinnabar provided technical design, fabrication, and installation of nearly all the public facing exhibits. 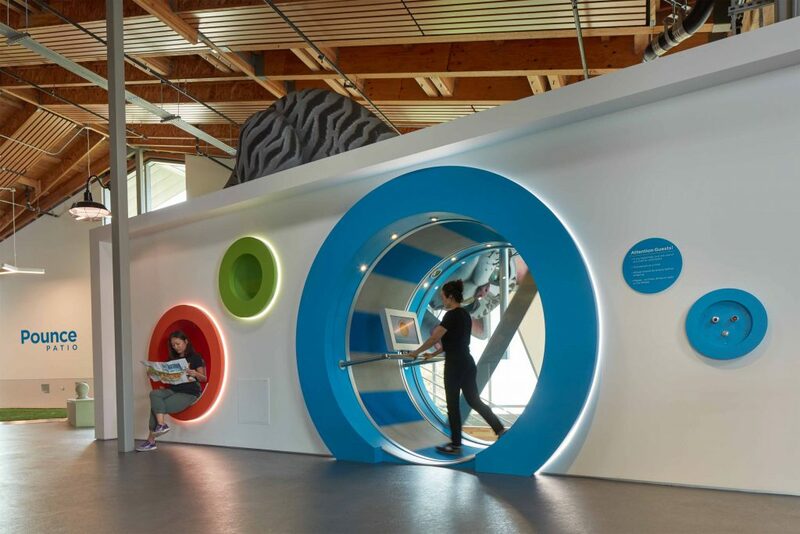 Some of our work includes a 13’ animatronic dog that greets you as you walk in the building, an interactive human sized hamster wheel, the PetPorch activity area, and fifteen specially designed adoption suites for dogs and cats, to name a few. 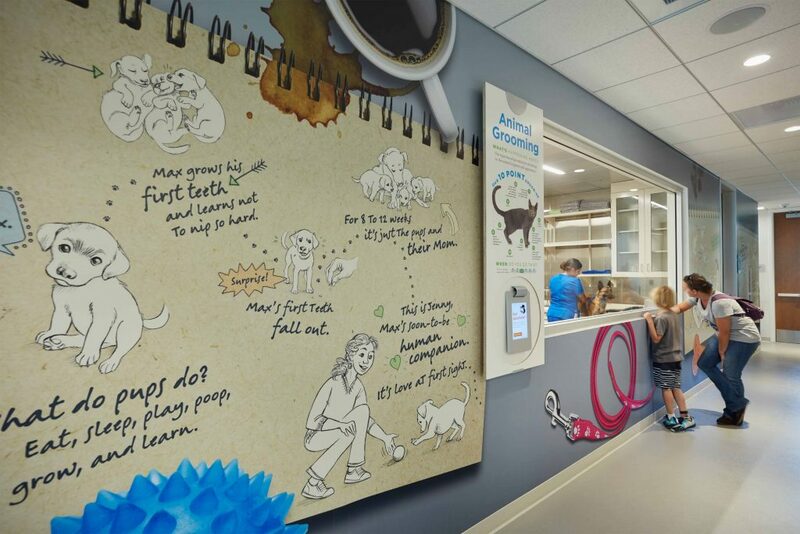 Additionally, much of the exhibits are designed to reveal the internal workings of the facility as PetSpace staff cares for and prepares animals for adoption to their new homes. 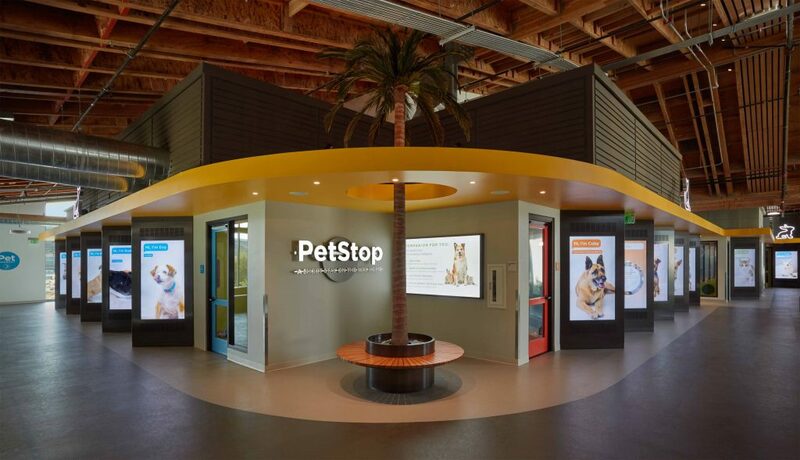 Our collaborators on PetSpace included Storyline Studio, Technifex, Risto Salo Design & Engineering, BBI Engineering, MATT Construction, and Belle & Wissell, Co.